Homeland (2016) Celtic Collections Ltd. Wish Me Well (2004) Doghouse Songs Ltd. 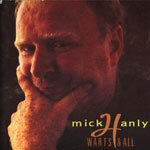 Musicians: Mick Hanly: Vocals and guitar. All other instruments: Declan Sinnott. Wooden Horses (2000) Doghouse Songs Ltd. Produced by P.J. Curtis. Engineered by P.J. Curtis. 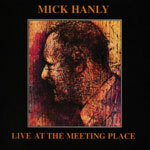 Musicians: Mick Hanly: Vocals, Guitar. Declan Corey: Mandolin. Tola Custy: Fiddle. Jim Kerrigan: Pipes, Low Whistle. Mick Kinsella: Harmonica. Liam Lewis: Fiddle. Josephine Marsh: Accordion. John Moloney: Bodhran. Michelle O’ Brien: Viola. Padraic O’ Broin: Acoustic Guitar, Bottleneck Guitar. Clare O’ Donaghue: Cello. Paul O’ Driscoll: Double Bass. 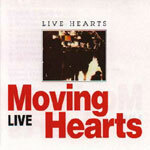 Live at the Meeting Place (1998) Doghouse Songs Ltd. 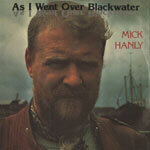 Produced by Mick Hanly. Engineered by Pearse Gilmore. 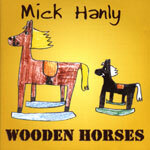 Musicians: Mick Hanly: Vocals, Guitar. Philip Donnelly: Electric Guitar, Acoustic Guitar. Niamh Kavanagh: Vocal on ‘Heart of Hearts’. Produced by Mick Hanly. Engineered by Ciaran Byrne. 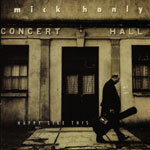 Musicians: Mick Hanly: Vocals, Guitar. Arty McGlynn: Electric Guitar, Acoustic Guitar. Eoghan O’ Neill: Bass Guitar. Fran Breen: drums. Kenny Craddock: Hammond Organ, Piano. Noel Eccles: Percussion. Percy Robinson: Pedal Steel. Shelly Buckspan: Vocal on ‘The Piano Tuner’. 14. Happy to be Here. 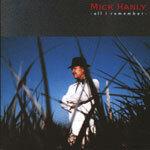 Musicians: Mick Hanly: Vocals, Guitar. Arty McGlynn: Electric Guitar, Acoustic Guitar. Eoghan O’ Neill: Bass Guitar. Fran Breen: drums. Kenny Craddock: Hammond Organ, Piano, Bottleneck Guitar. Philip King: Harmonica. Still Not Cured (1987) W.E.A. Produced by Mick Hanly. Engineered by Andrew Boland. 6. What Will You Do About Me? Produced by Steve Turner. Engineered by Steve Turner. Recorded live at the Dominion Theatre, London on 28th February 1983. 9. As I Went Over Blackwater. Produced by Donal Lunny. Engineered by Philip Begley. 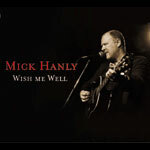 Musicians: Mick Hanly: Vocals, Guitar. Donal Lunny: Bazouki. Andy Irvine: Mandolin, Hurdygurdy. Matt Molloy: Flute. Noel Hill: Concertina. Paddy Glackin: Fiddle. Declan Sinnott: Electric Slide Guitar. Produced by Donal Lunny and Michael O’ Domhnaill. 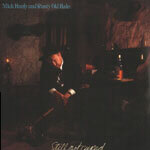 Musicians: Mick Hanly: Vocals, Guitar. Paddy Glackin: Fiddle. Triona Ni Dhomhnaill: Harpsichord. Donal Lunny: Bazouki. Rick Epping: Concertina, Harmonica. Peter Brown: Pipes. Matt Molloy: Flute. 11. An Bochan A Bha’ig Fionnghuala. Produced by Donal Lunny. Engineered by Pat Morley. Musicians: Michael Hanly: Guitar, Dulcimar, Vocals. 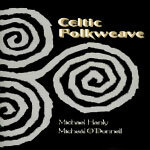 Michael O’ Donnell: Liam Og O’ Flynn: Uilleann Pipes, Whistle. Donal Lunny: Bodhrans. Matt Molloy: Flute. Tommy Peoples: Fiddle. Declan McNeill: Bass. Triona Ni Dhomhnaill: Harpsichord.